First and foremost, our #1 accomplishment is creating real estate success stories, and we’ve done that to the tune of $500M+ in closed residential real estate sales. Beyond that, the leaders of Professional One have been heavily involved in leading the call for change and for a general raising of the bar in the real estate industry. We’ve also reshaped the industry by co-founding several companies that help agents, teams and brokers all over the world build better businesses. We bring all that knowledge, experience and expertise to bear in each and every client situation locally. The Director of Real Estate Product for the New York Times, Matthew Shadbolt, endorsed Professional One founder Michael McClure. See the endorsement in the “Testimonials” section at the bottom of this page. Why It Matters: Highest-level professional endorsement. Professional One was named “One of the Most Creative Brands of the Past Decade” in the Swanepoel Trends Report. Why It Matters: The thing to note here is why we received this recognition, and there were several reasons: quoting from the Trends Report, first, because of our “strong integration of Social Media into the business,” and second, because of our “bold dedication to professionalism.” This demonstrates that our claims of technical expertise and our commitment to professionalism are more than mere talk. Professional One was the only brand from the midwest named to this prestigious list of companies predicted to have bright futures. Why It Matters: Similar to the recognition received in the Trends Report, this is evidence that the good work we’ve done in terms of raising the bar in terms of professionalism and the use of technology has been recognized nationally. Professional One founder Michael McClure co-authored the Swanepoel Technology Report, the most comprehensive book written about the use of technology in real estate. Why It Matters: Demonstration of expertise in the full range of technologies used in the real estate space. Professional One founder Michael McClure was named one of the “50 Most Influential Online” by the #1 real estate news portal, Inman News. Why It Matters: Demonstration of expertise in an area that is crucial to real estate, particularly on the selling side. Professional One founder Michael McClure was the only person from the entire American real estate industry named to AGBeat.com’s “Top 50 Influencers” list. Why It Matters: AGBeat chose only one individual from the real estate industry for its list, and Michael was the one selected. Why It Matters: Socialnomics is widely considered to be the leading reference on using Social Media to create real-world business results, and its author travels the world speaking on this topic. This endorsement lends credence to our technical expertise, particularly with respect to using Social Media to produce business results. Professional One founder Michael McClure was named one of the 20 Most Influential in Real Estate in terms of Social Media for both 2014 and 2015 as per the SP 200, a ranking of the most powerful people in the industry. Why It Matters: Because it is further indication of the prowess and tech-savviness of the company for its founder to be recognized in this fashion in consecutive years. 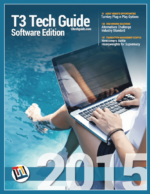 Professional One founder Michael McClure, along with the real estate industry’s leading author, speaker and trends analyst, Stefan Swanepoel, co-authored the T3 Tech Guide. Professional One founder Michael McClure created one of the most prominent real estate groups in the real estate industry. The group boasts more than 19,000 members and is frequently quoted in the real estate press. Why It Matters: The name of the group is “Raise the Bar in Real Estate,” and it is widely viewed as one of the preeminent forums in terms of increasing professionalism in real estate. This demonstrates the authenticity of our commitment to leading the discussion in terms of making real estate a better and more professional industry. That we were recognized in the real estate press for our efforts here confirms the legitimacy of our claim. The @ProfessionalOne Twitter account surpassed 50,000 followers, making it one of the most prominent social accounts in the entire real estate industry (in the top six, including every global franchise). Why It Matters: We have one of the largest self-created audiences in the world in real estate in terms of Twitter. With our one small office, with a very small team, we have built a following that is literally on par with global franchises with 100,000 or more agents. This lends credibility to the level of our technical expertise. Professional One founder Michael McClure co-founded a podcast called “Raise the Bar Radio.” This podcast grew to become (at the time) the most popular podcast in the industry, and was featured in a book about the use of technology in real estate. Why It Matters: This demonstrates the degree of our knowledge and expertise in the use of technology and social media, which was the only tool used to promote the podcast. Professional One founder Michael McClure co-founded T3 Experts (now part of T3 Fellows), one of the real estate industry’s leading technology training and broker and agent mentorship companies in America. Why It Matters: This demonstrates the degree of our real estate experience and technological expertise. Professional One founder Michael McClure co-founded Curaytor, a technology company that facilitates lead generation and lead conversion for real estate teams. Professional One founder Michael McClure wrote a chapter for the best-selling book about authenticity in real estate, REAL: A Path to Passion, Purpose and Profits in Real Estate. Why It Matters: This demonstrates the degree of our national reputation, to have been asked to contribute in this manner. Professional One founder Michael McClure was named “One of the 21 Most Interesting People in Real Estate” for 2016 by Inman News. Why It Matters: This demonstrates the degree of our national reputation, to have been recognized in this manner. Professional One founder Michael McClure has been quoted in the LA Times, Smart Money Magazine, MSN Real Estate, AOL Real Estate, the Detroit News, Inman News, American Genius, the Swanepoel Trends Report, the Swanepoel Social Media Report and numerous other sources. Why It Matters: This demonstrates the degree of our knowledge and expertise, to have been quoted in, referenced or endorsed by such a wide range of media sources. Professional One founder Michael McClure has conducted 40+ national-level technology training webinars for some of the leading companies and brands in the real estate industry, including Zillow, Inman News, T3 Experts, the GoodLife Team, Coldwell Banker, Keller Williams and others. Why It Matters: This demonstrates the degree of our knowledge and expertise, to have been asked to provide training for some of the largest and best-known global franchises in the real estate industry. Professional One founder Michael McClure has spoken extensively on the topics of professionalism in real estate, the use of technology in real estate and branding in a variety of cities, including New York, San Francisco, Chicago, Atlanta, Portland, Las Vegas, New Orleans and others. Why It Matters: This demonstrates the degree of our knowledge and expertise, to have been asked to speak on the topics of professionalism and technology in real estate literally all over the United States. Don’t take our word for it! Click here to find out what our clients say about us!